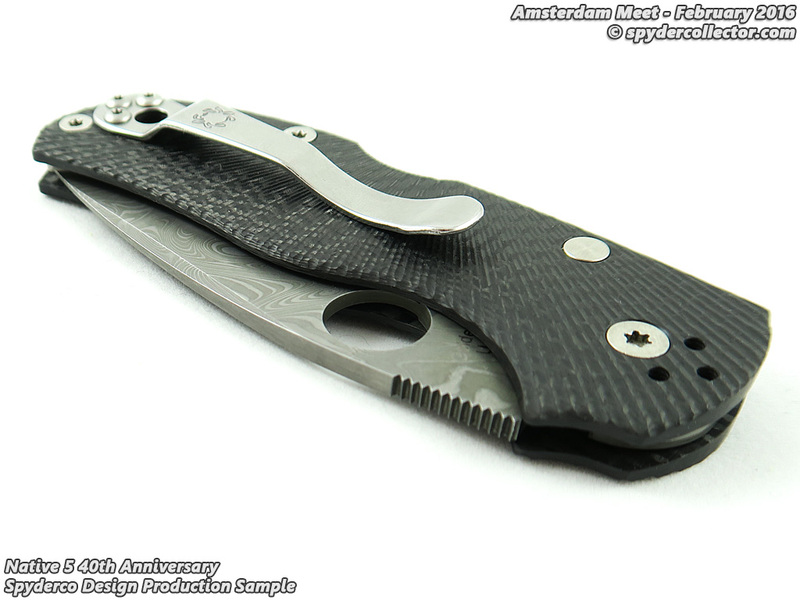 I was happy with my results so far, but I wanted to get more practice with the new portable lightbox and set-up for the Amsterdam Meet pictures. 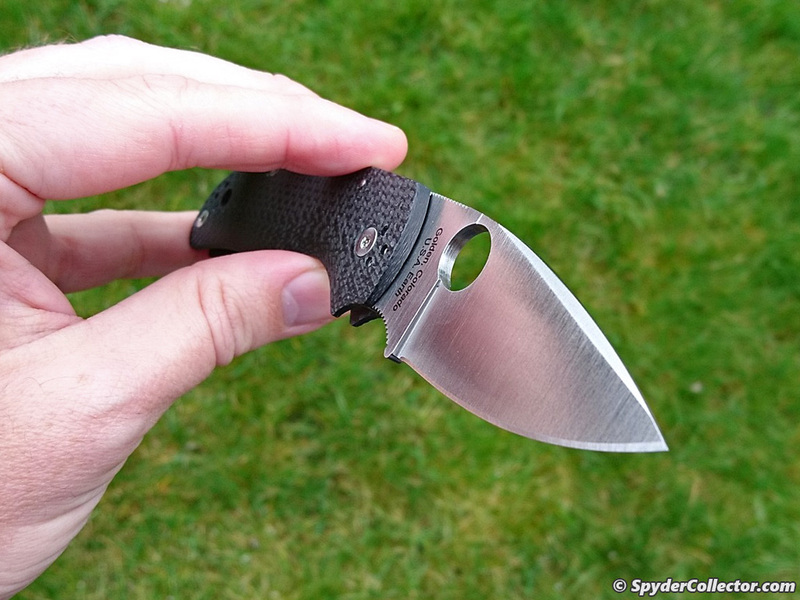 It helped to work out some kinks and what to look out for when shooting the photos. 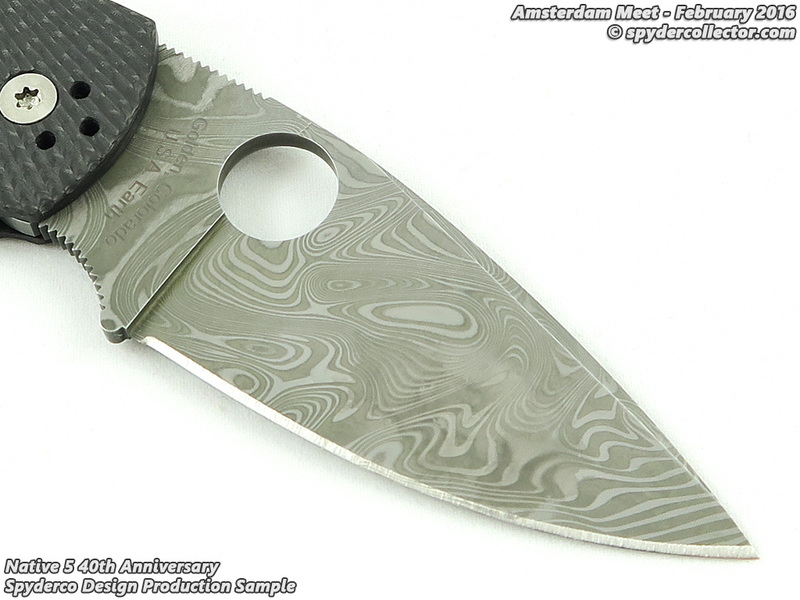 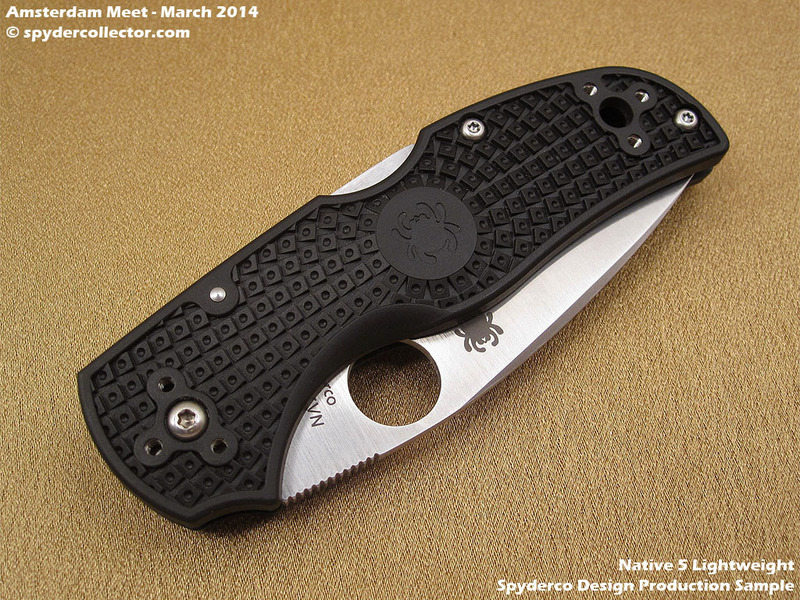 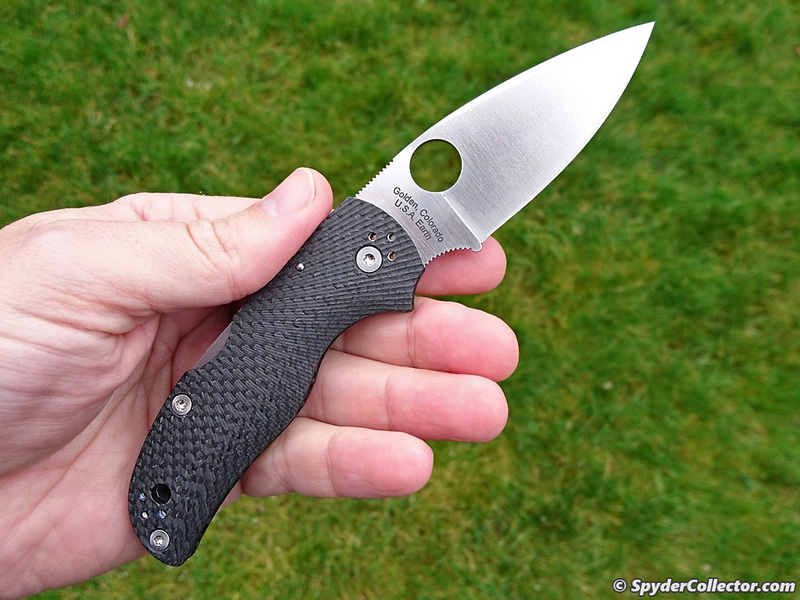 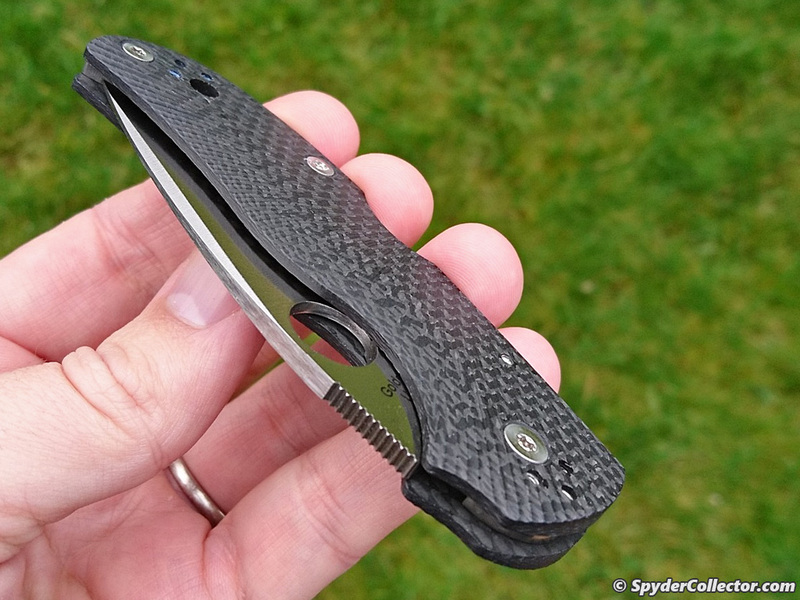 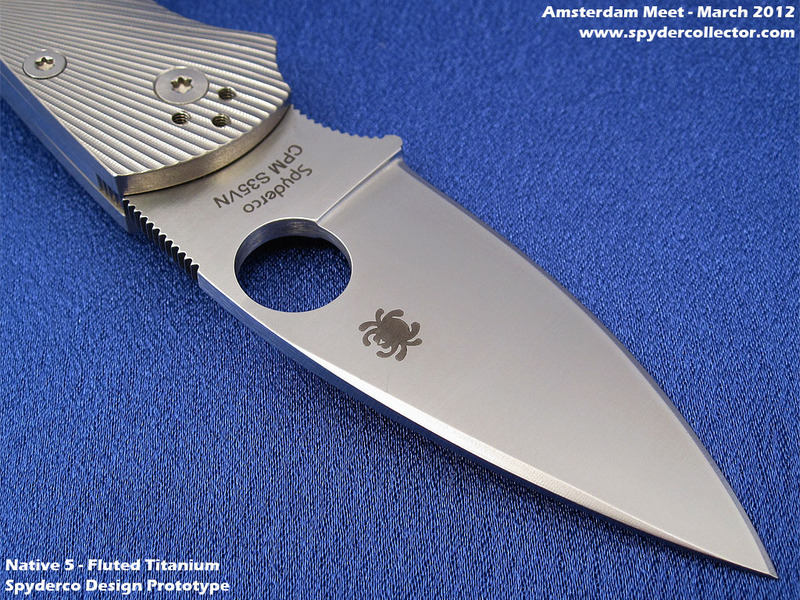 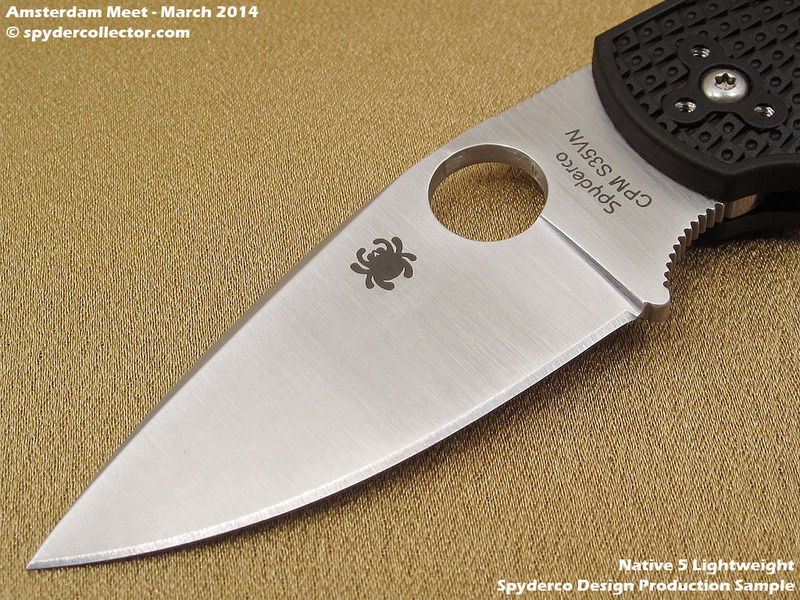 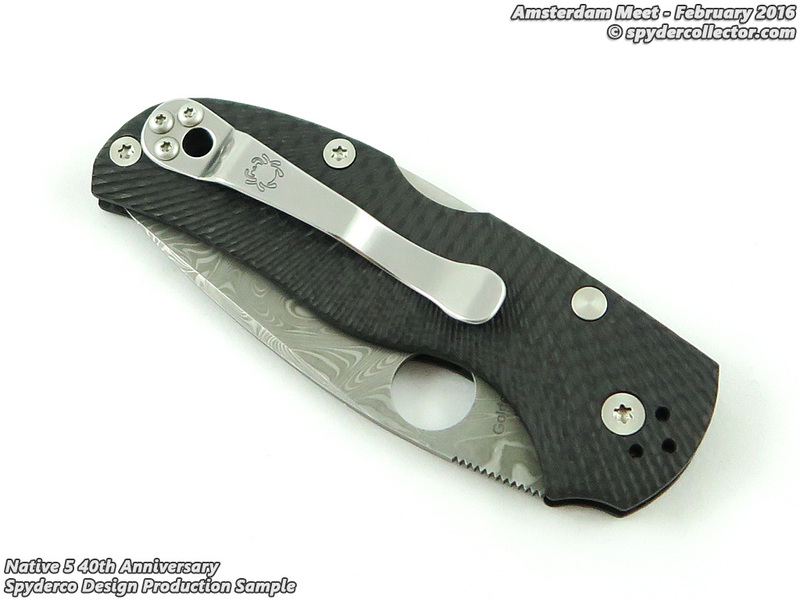 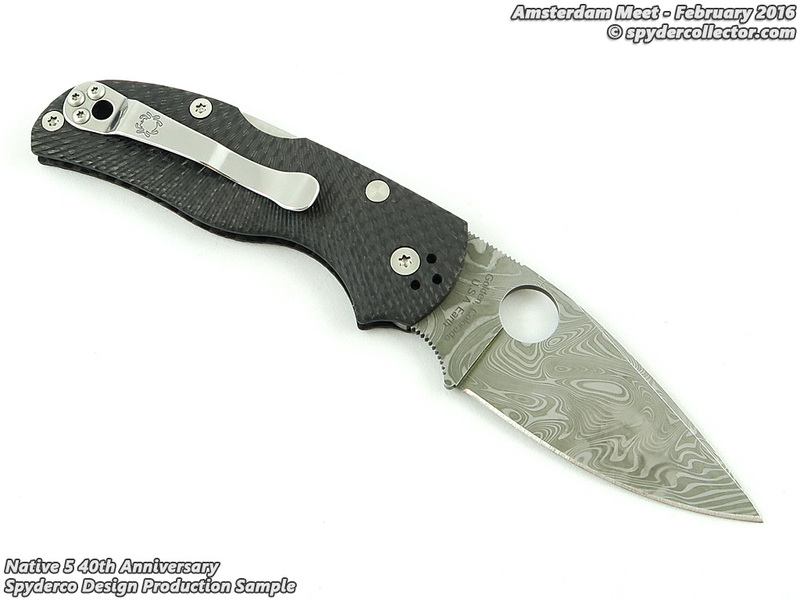 Another familiar model was the Native 5 with the fluted titanium handle. 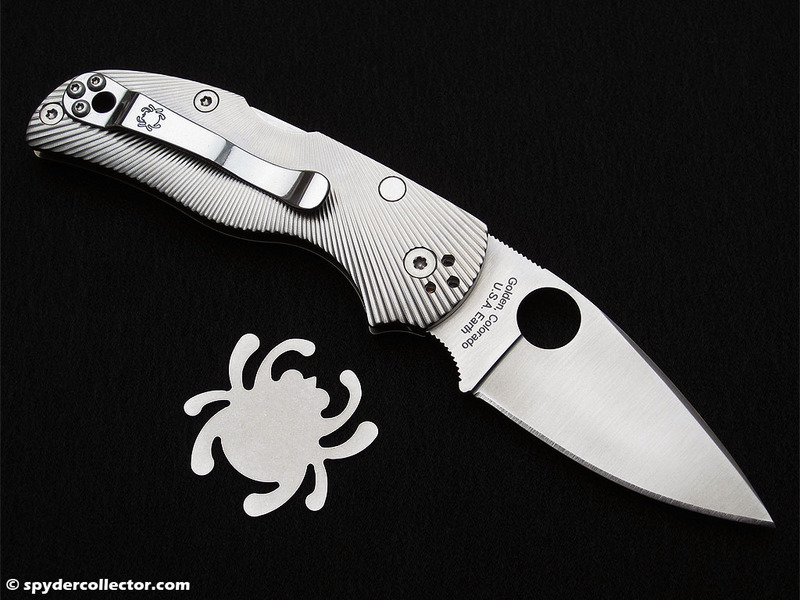 I still think it looks and handles like a champ. 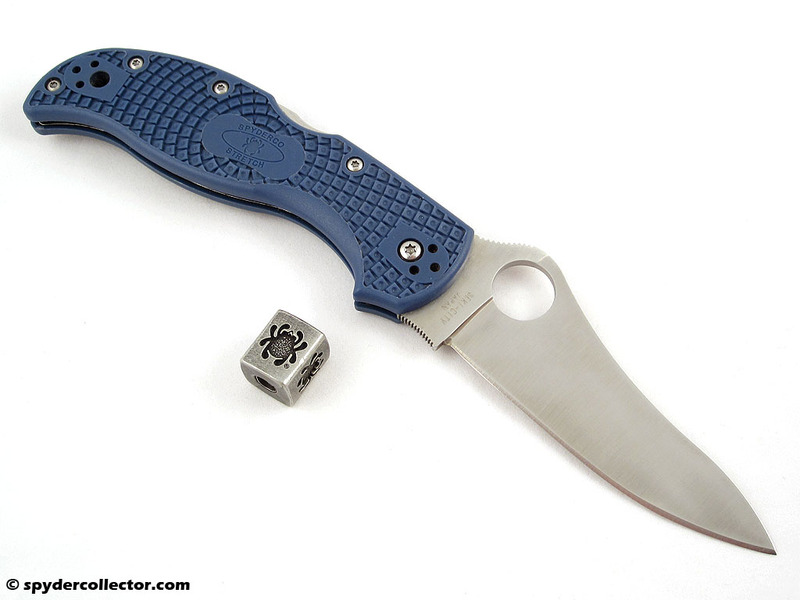 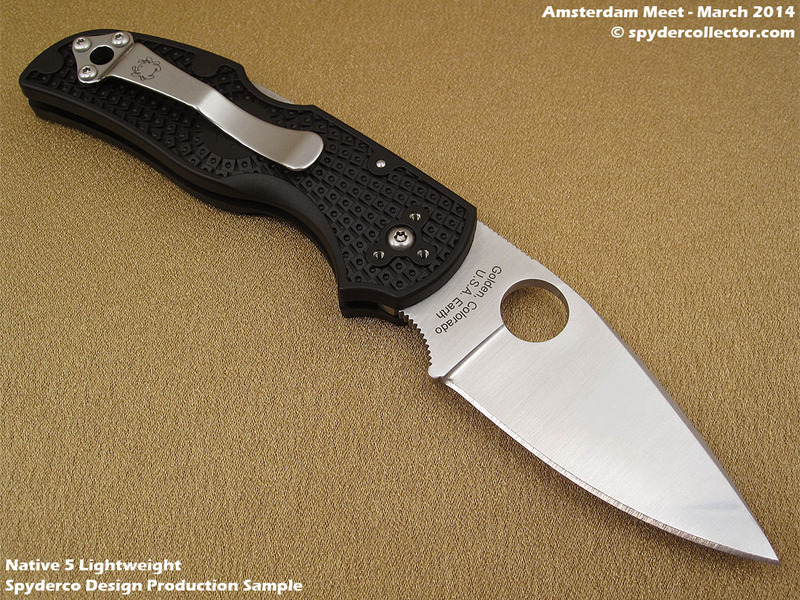 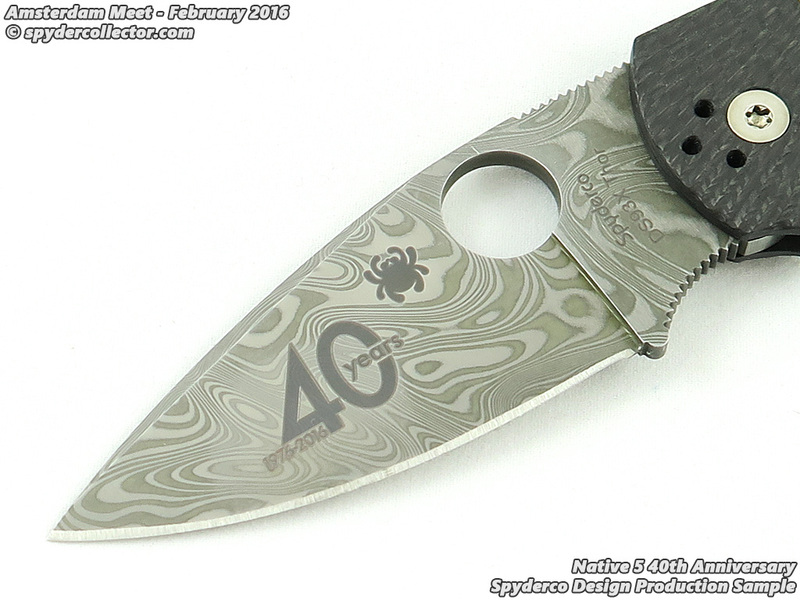 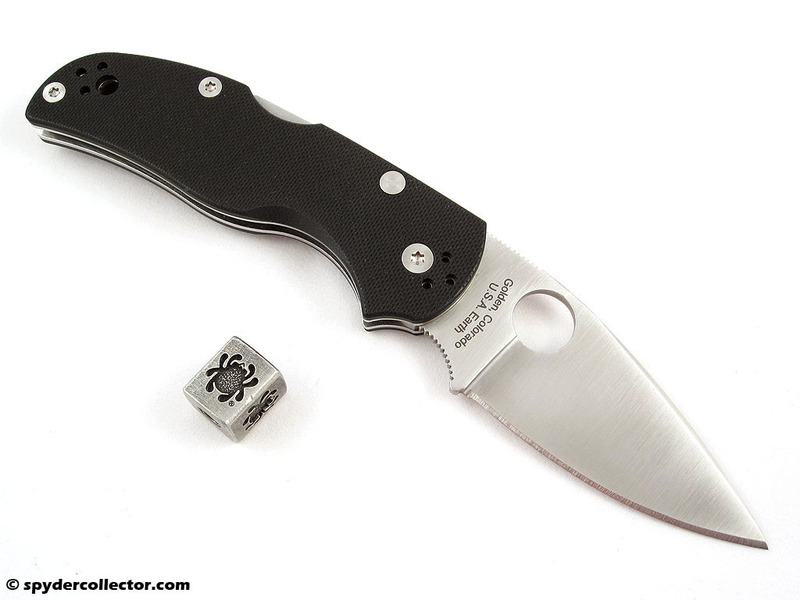 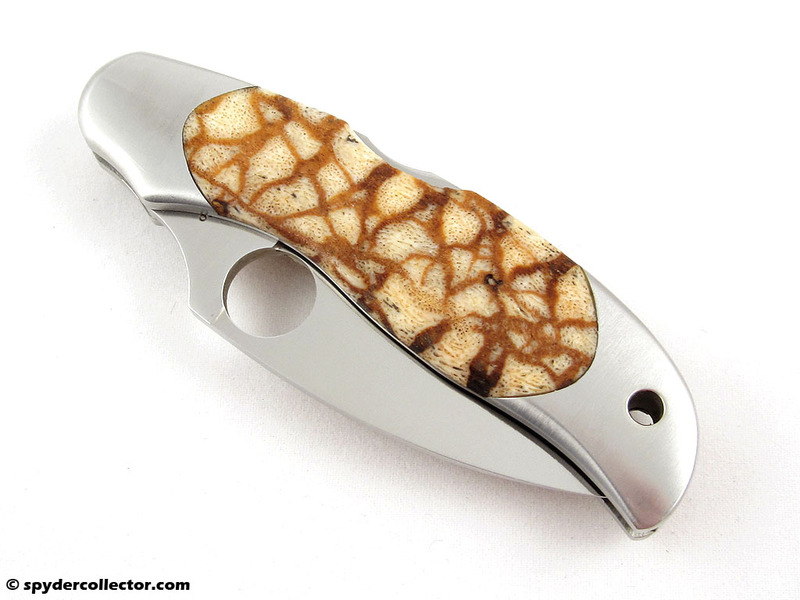 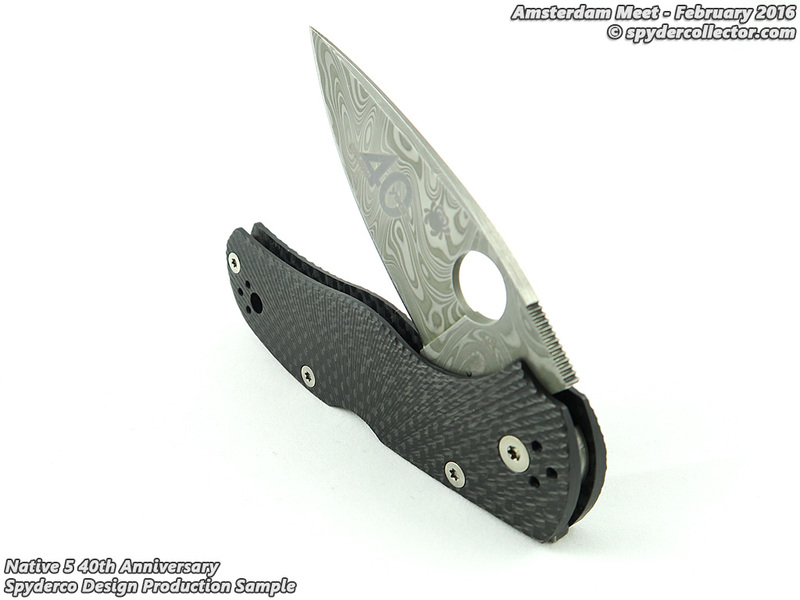 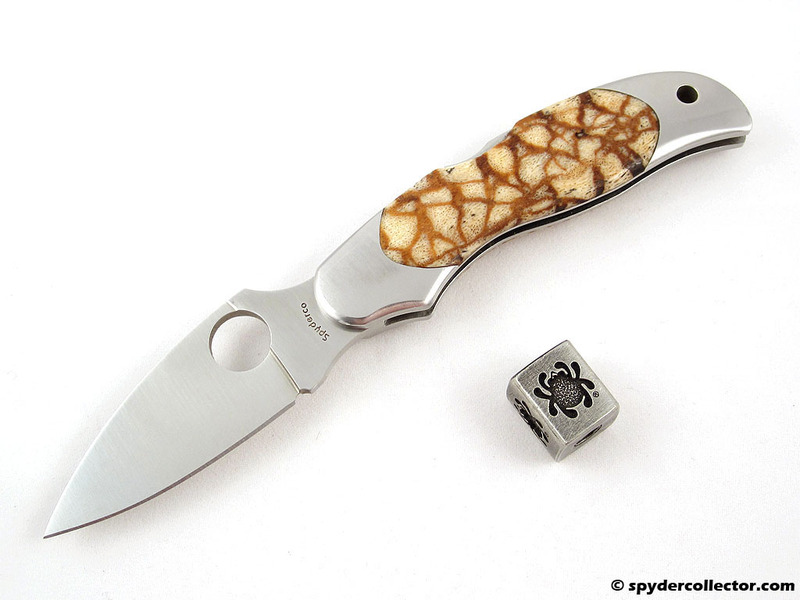 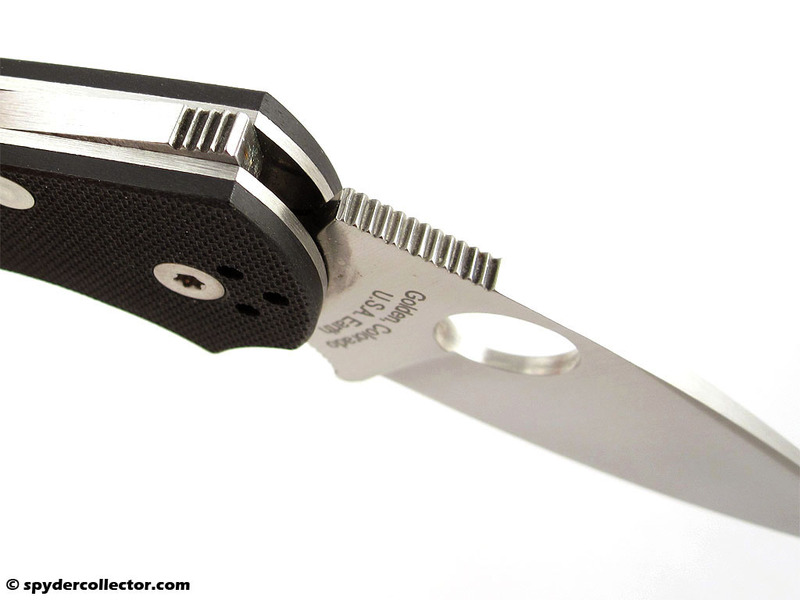 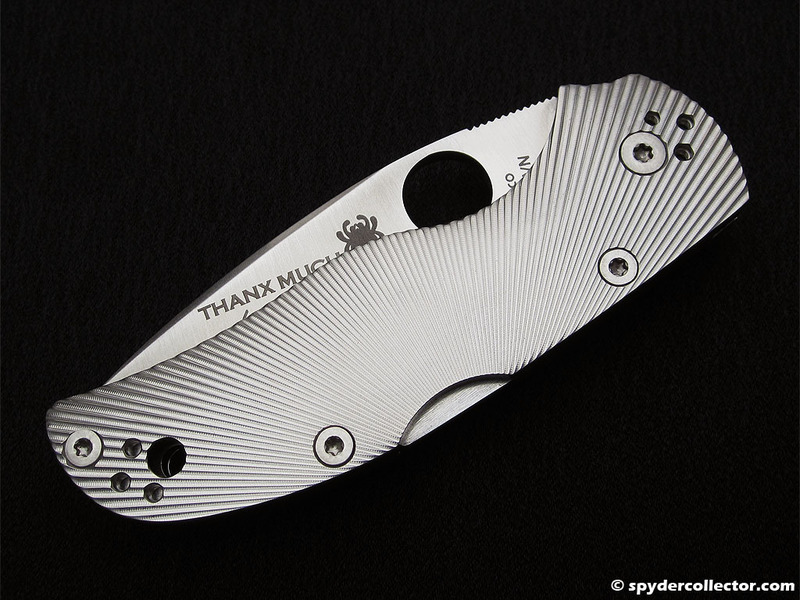 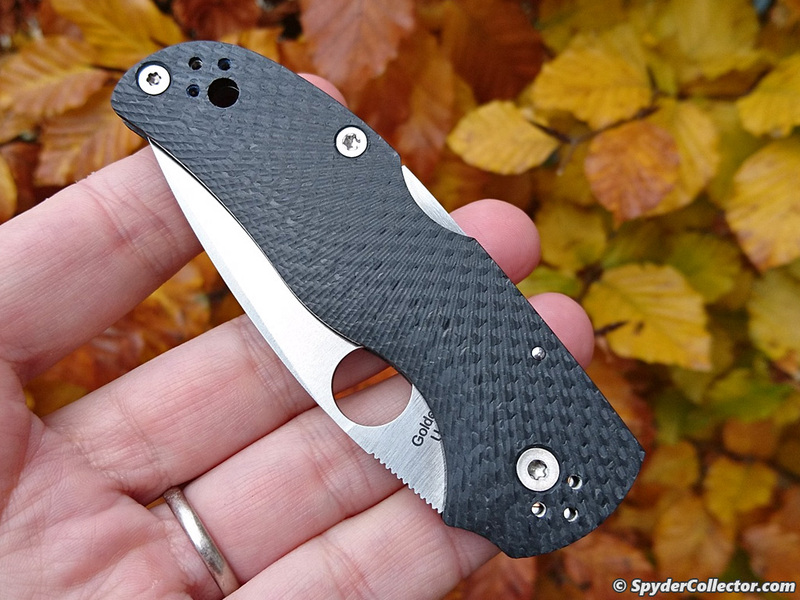 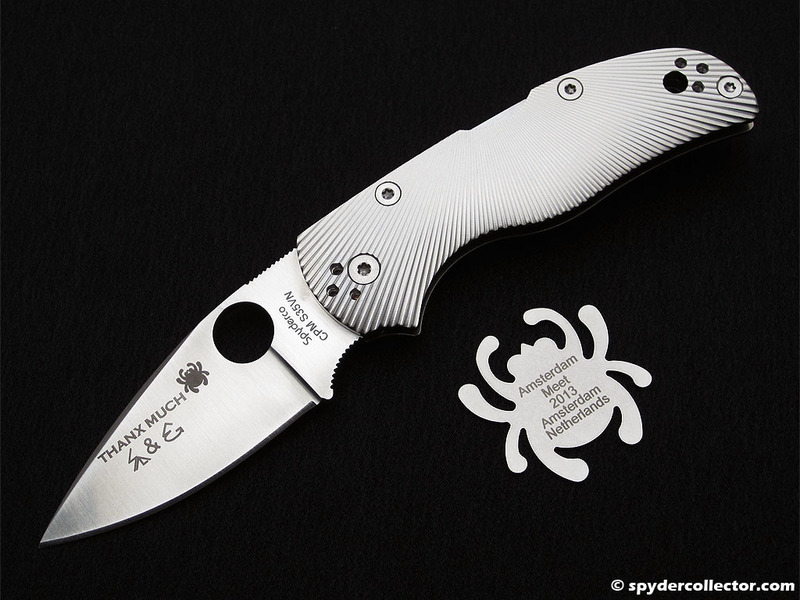 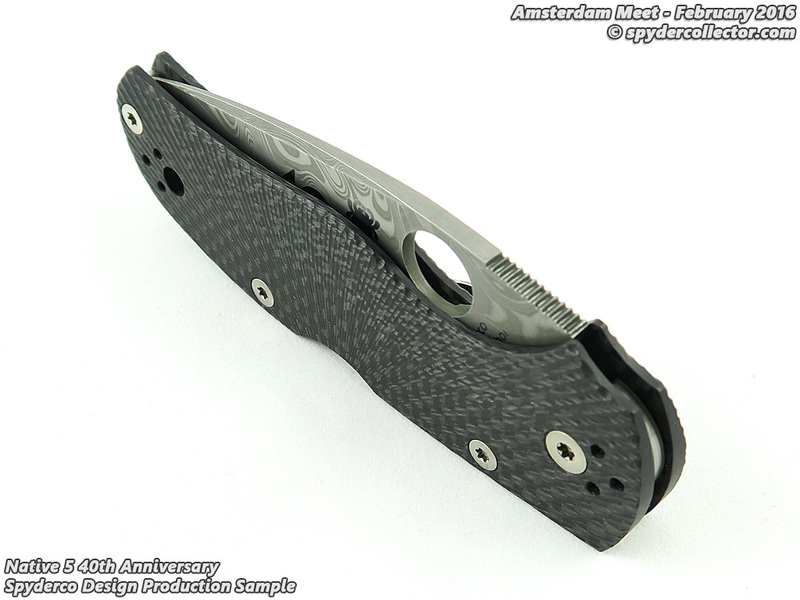 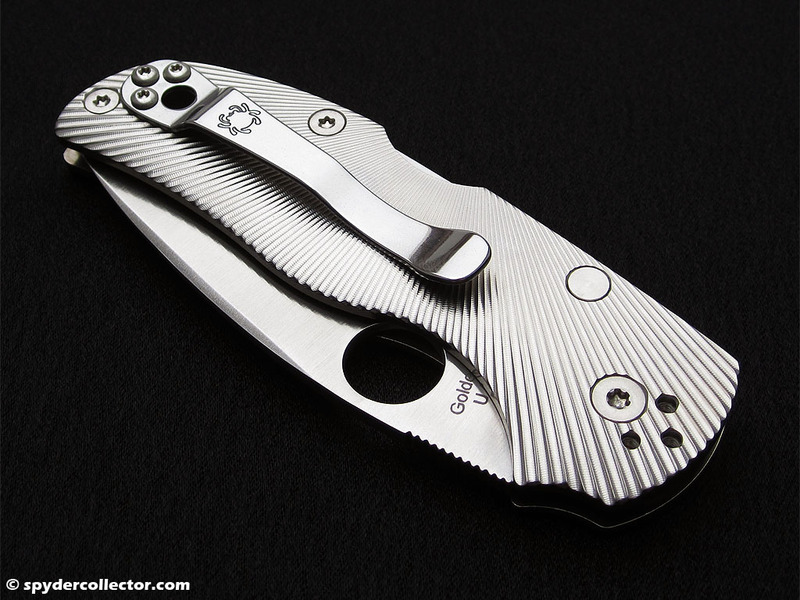 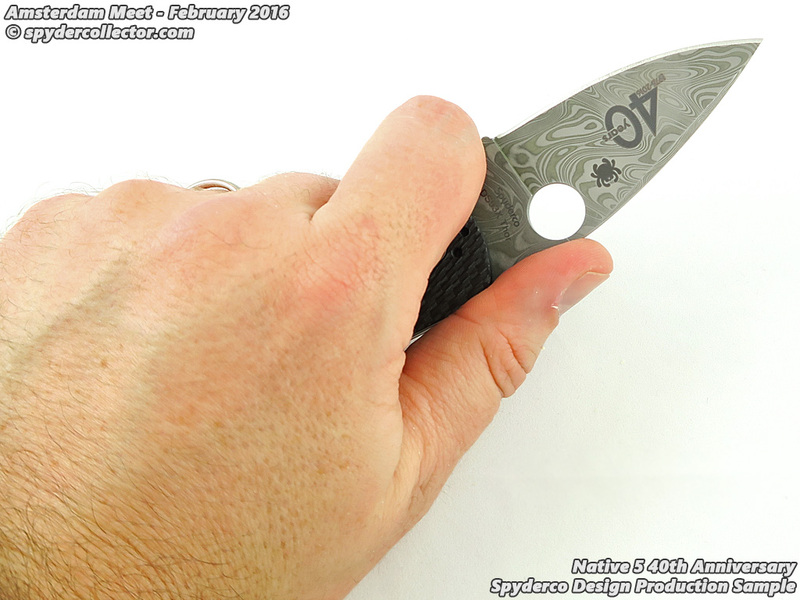 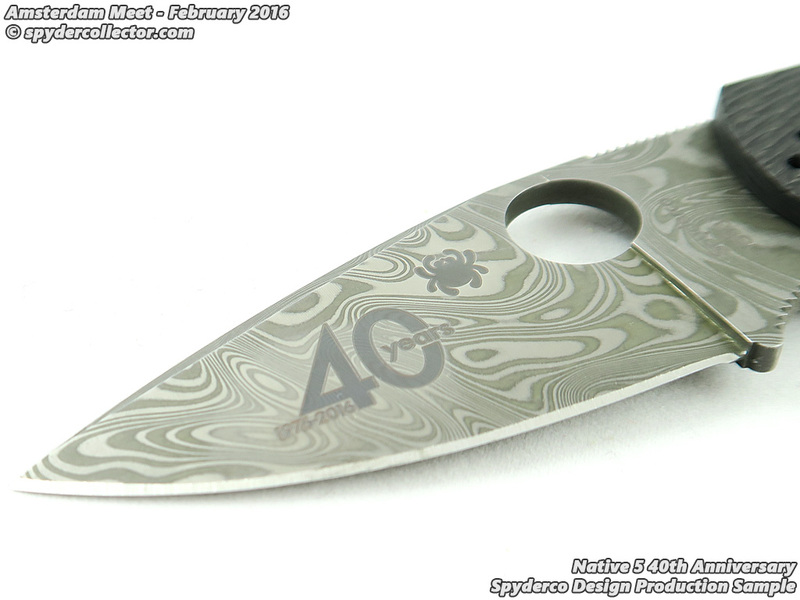 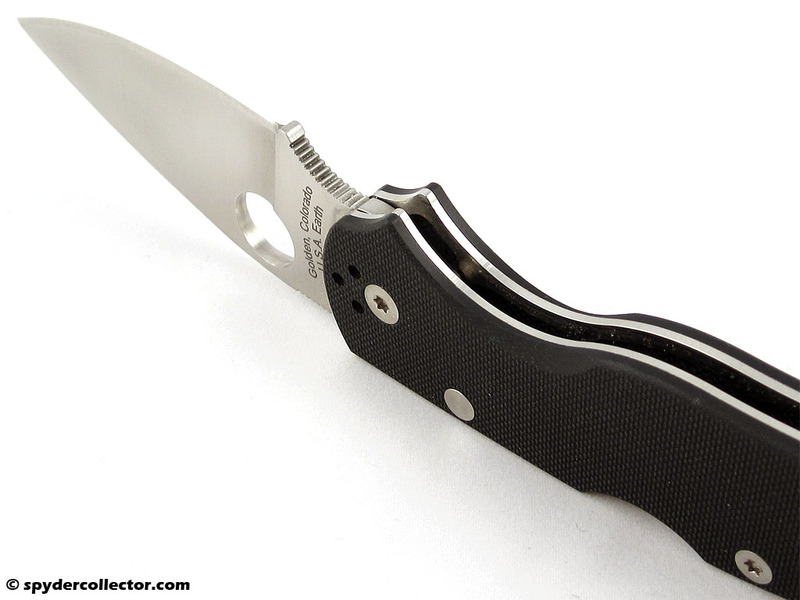 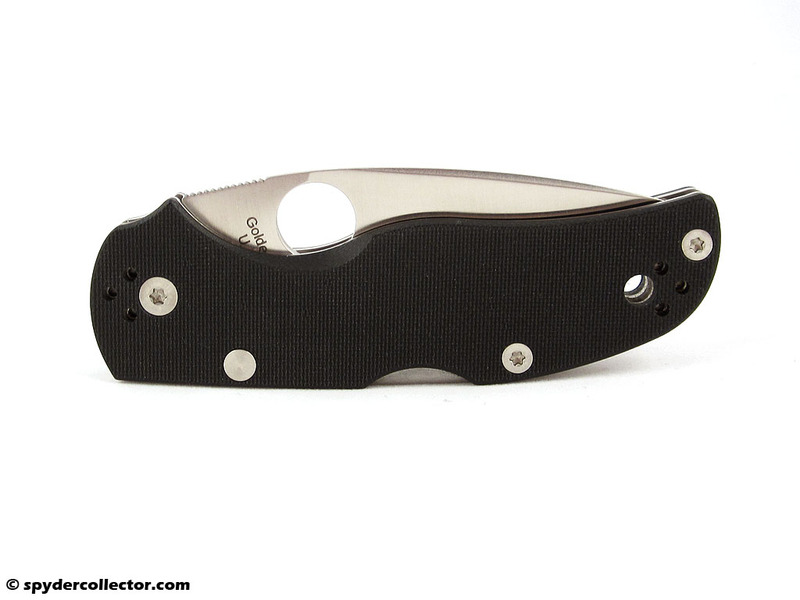 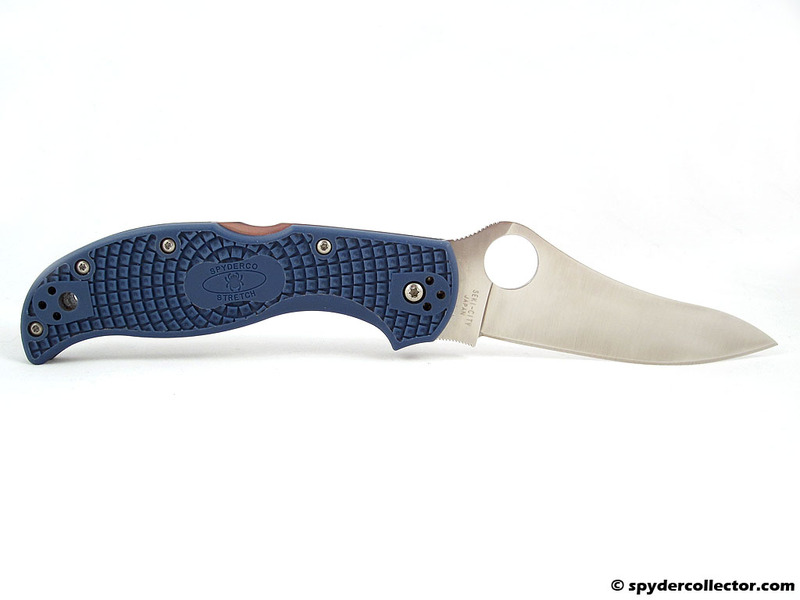 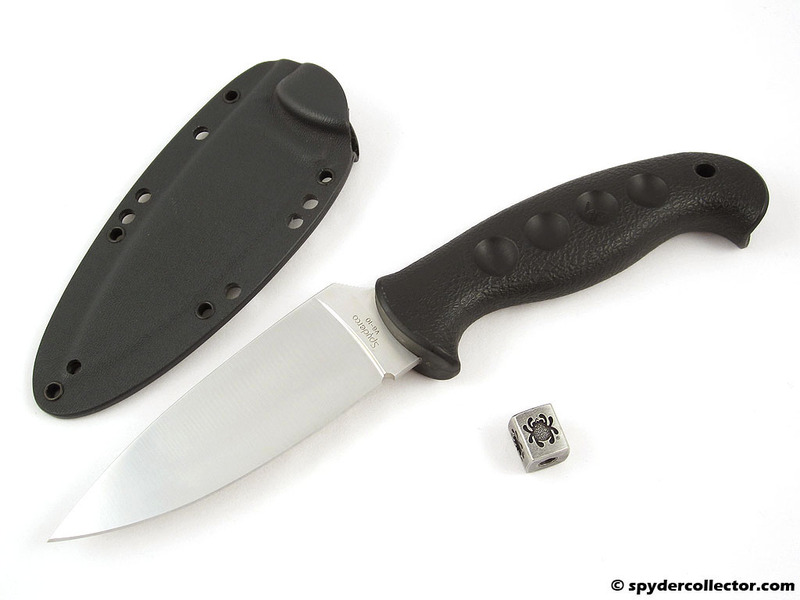 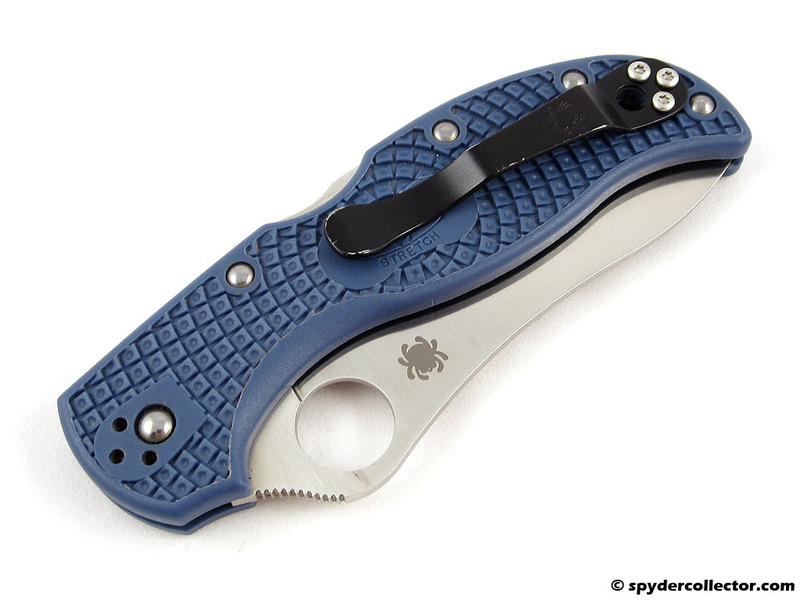 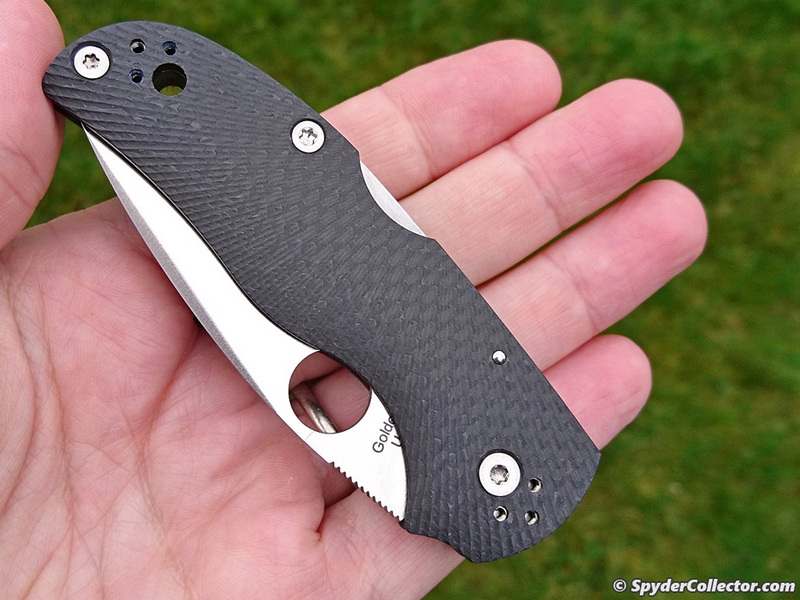 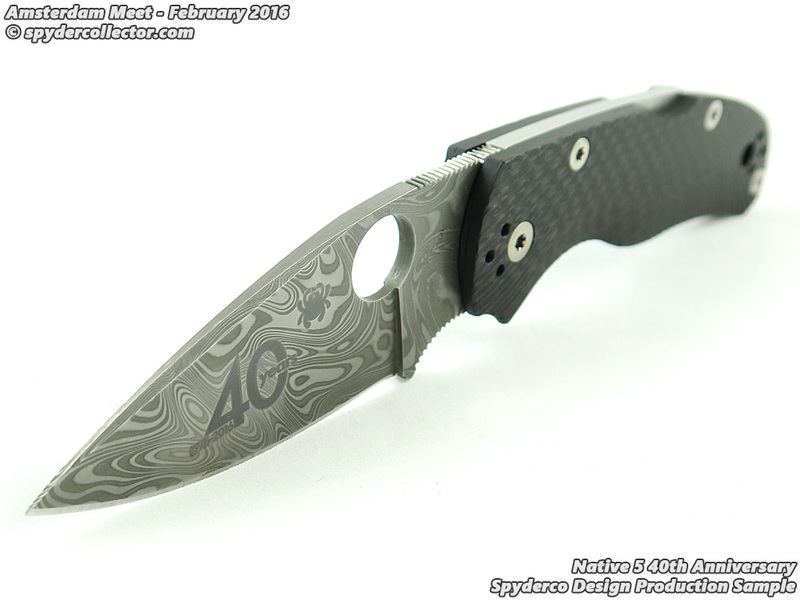 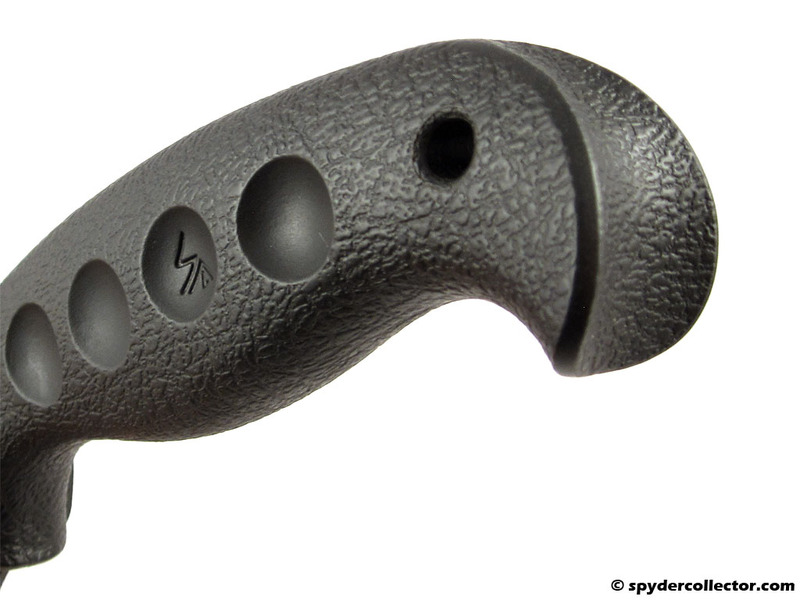 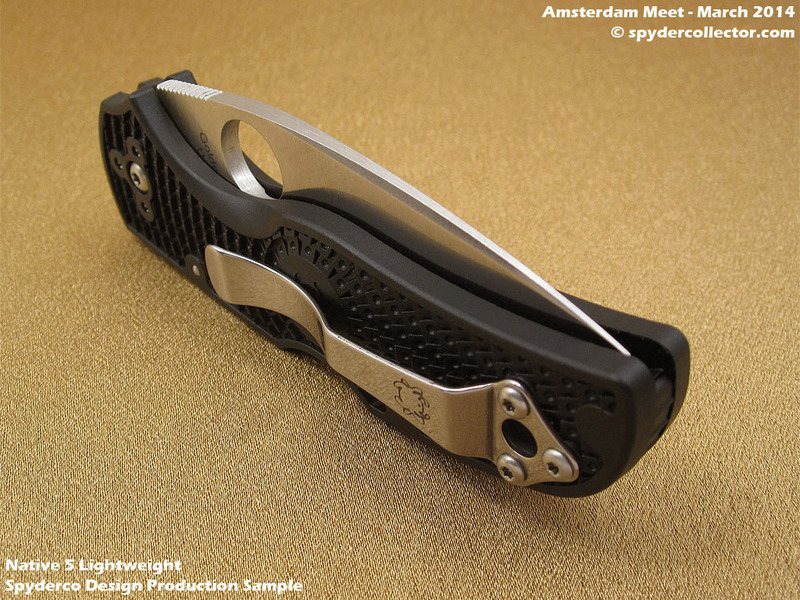 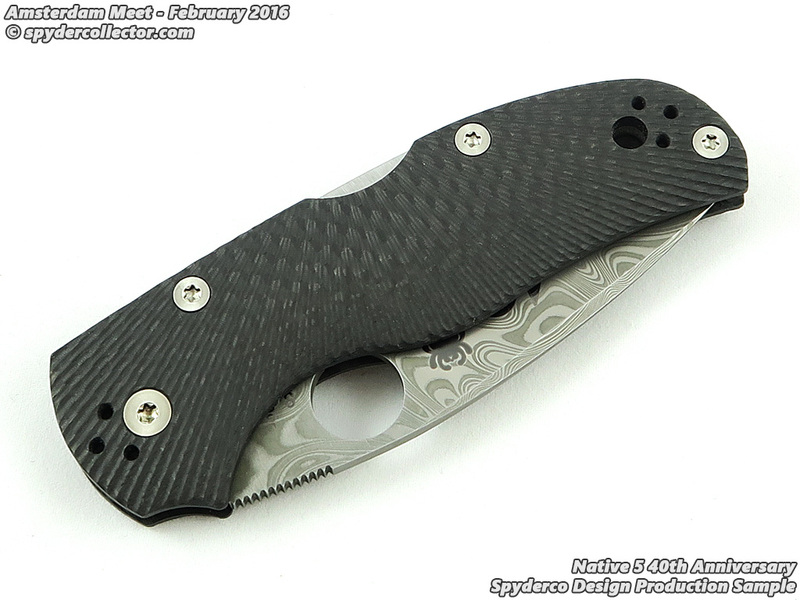 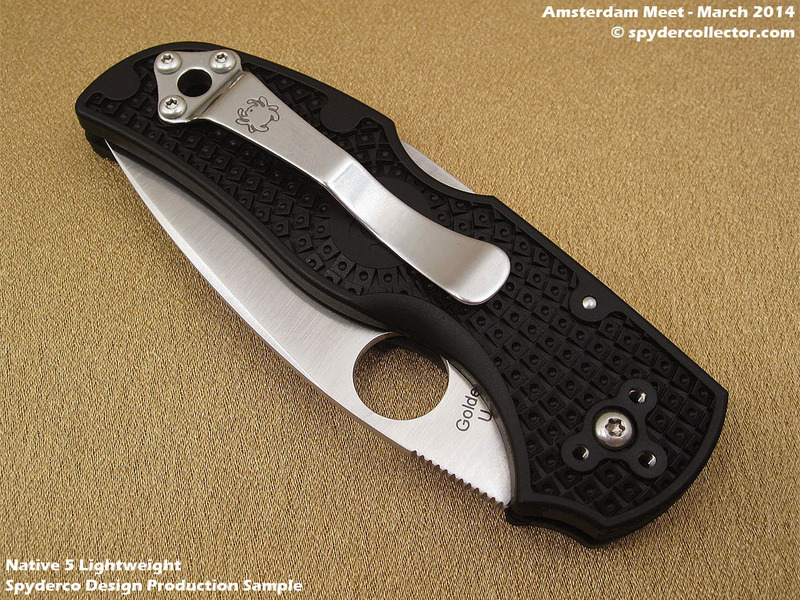 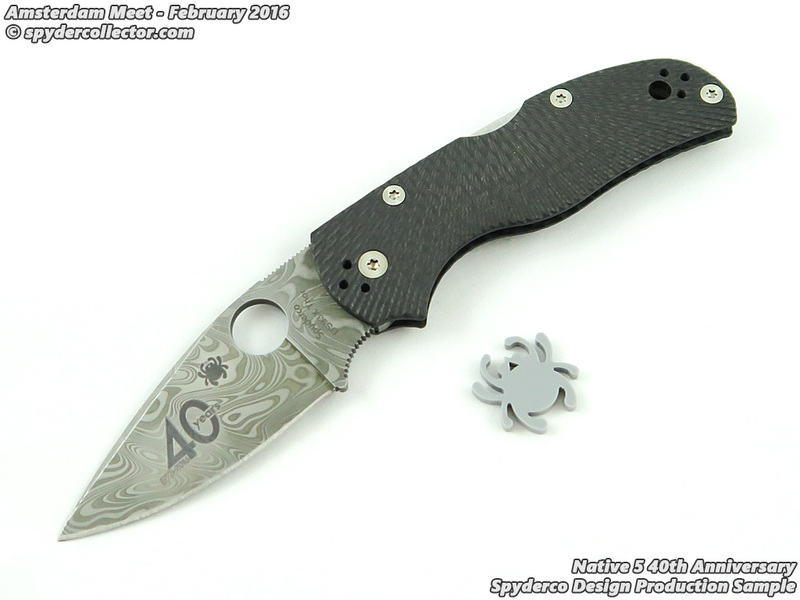 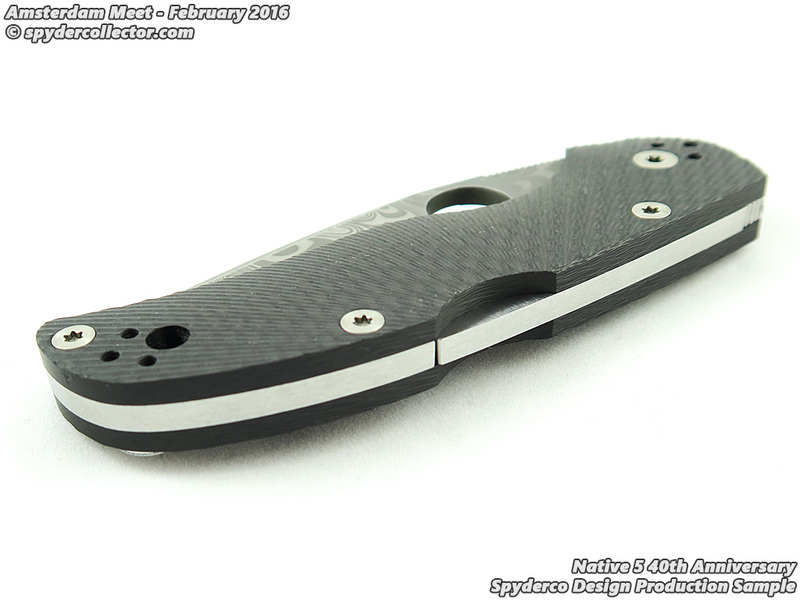 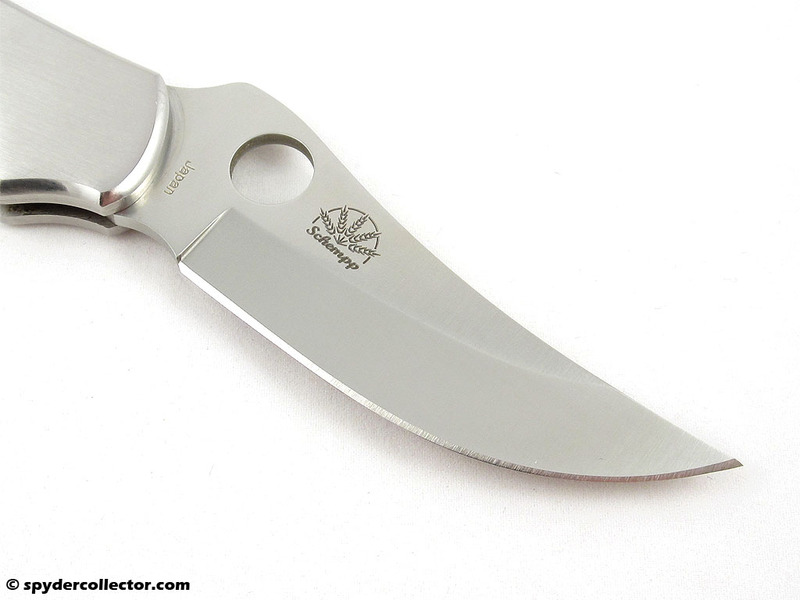 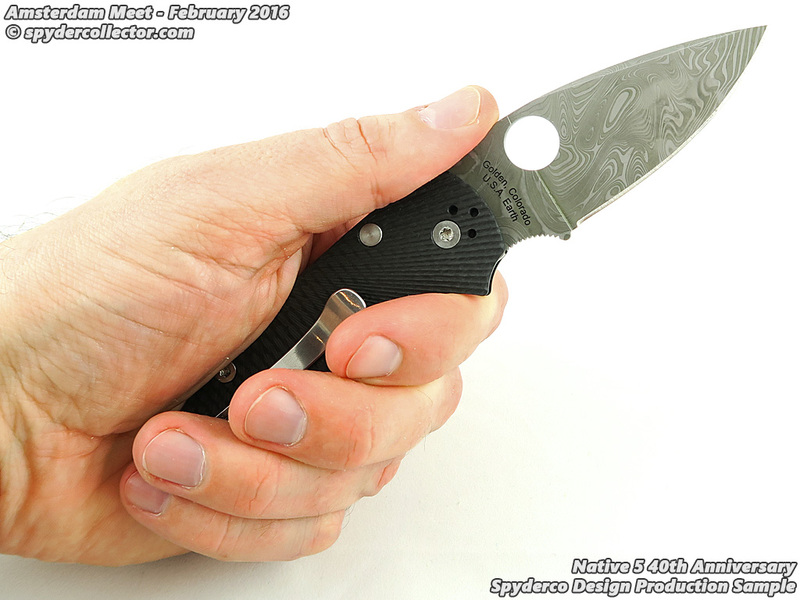 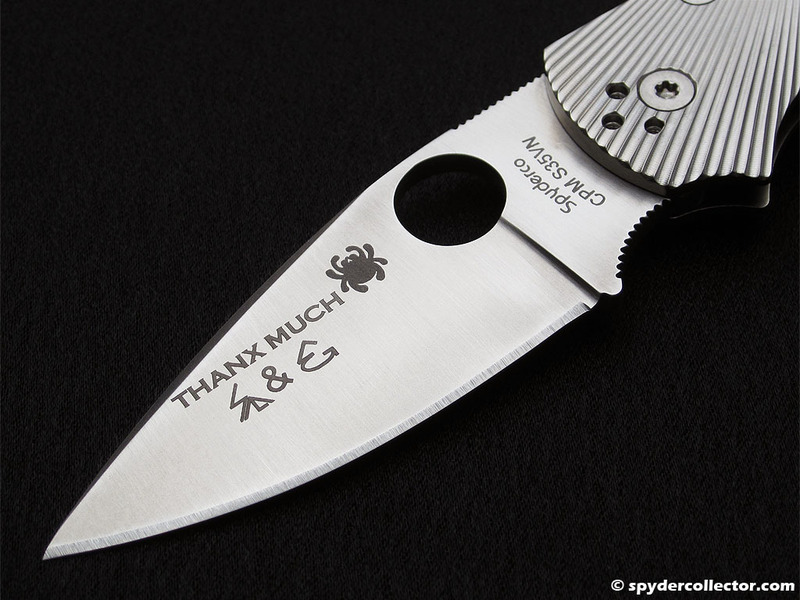 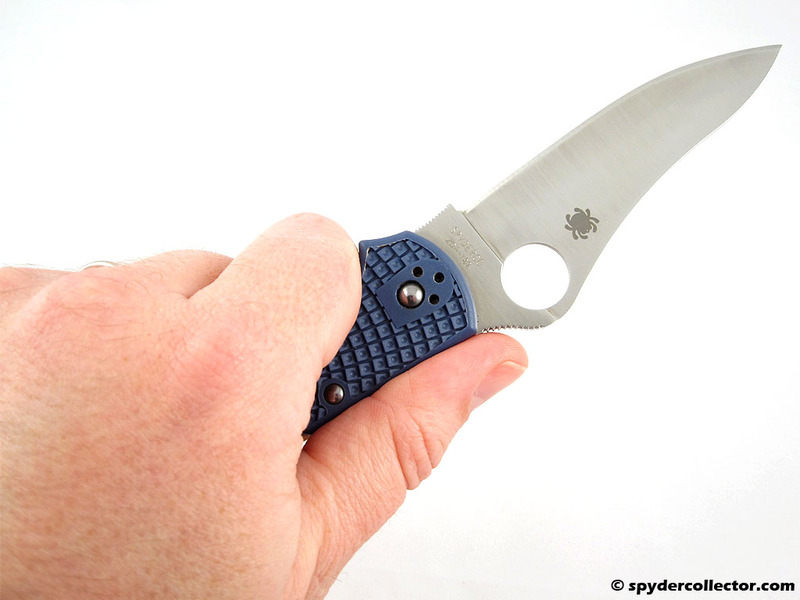 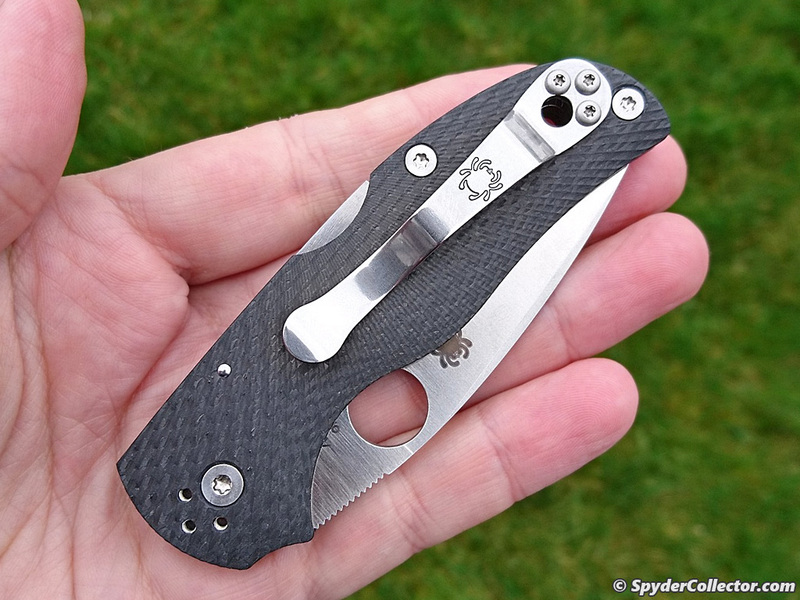 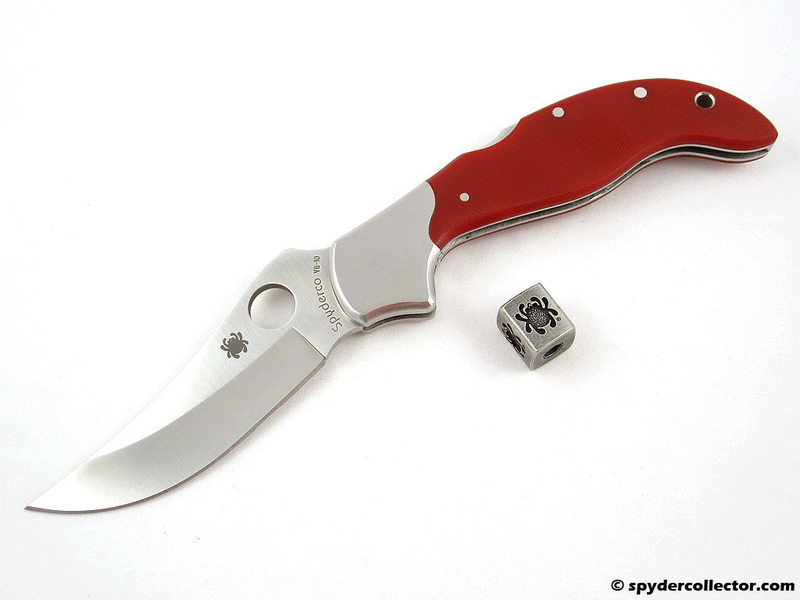 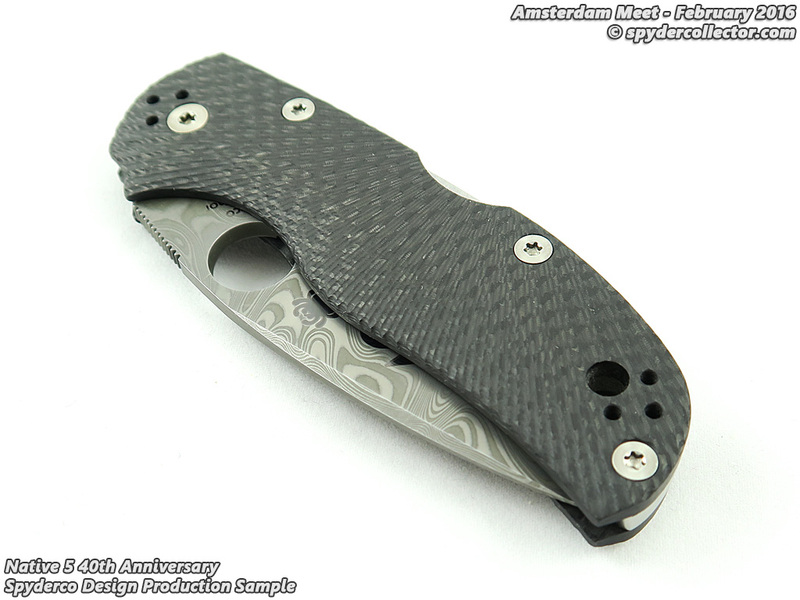 The handle scales also ´replace´ the liners in the G10 model. 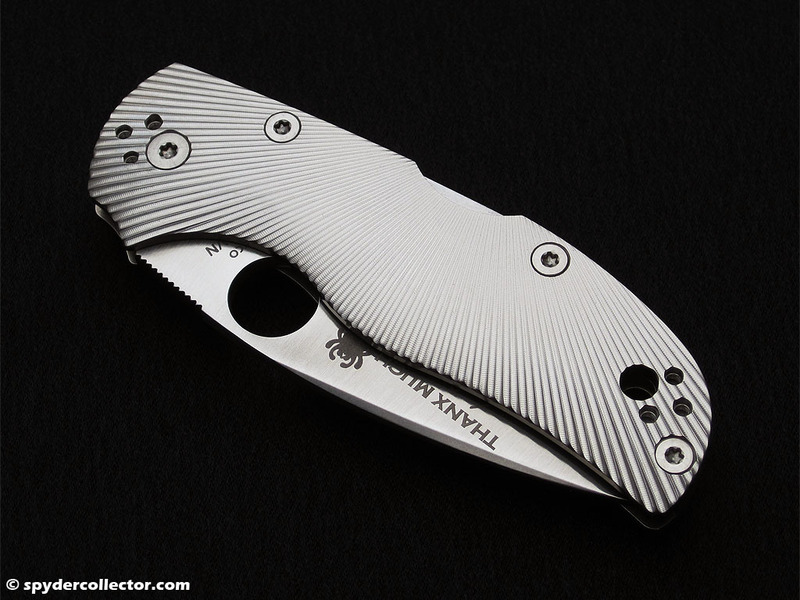 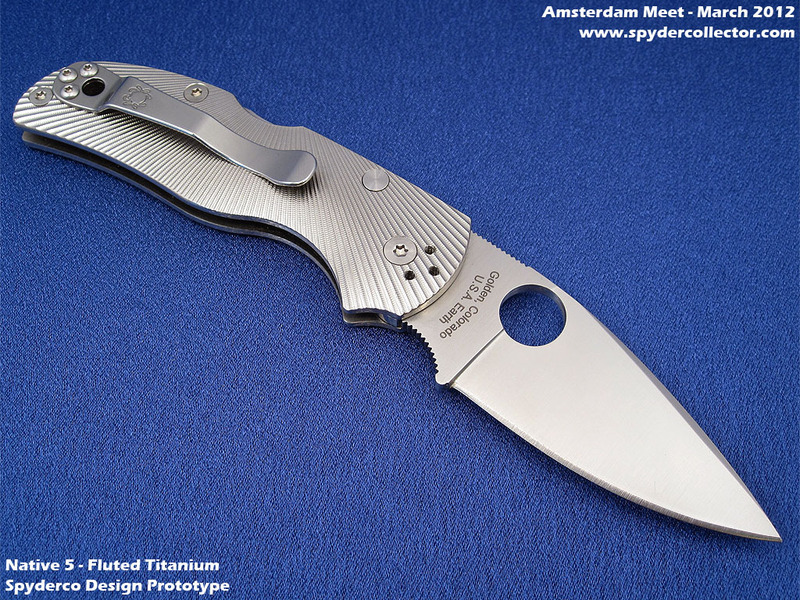 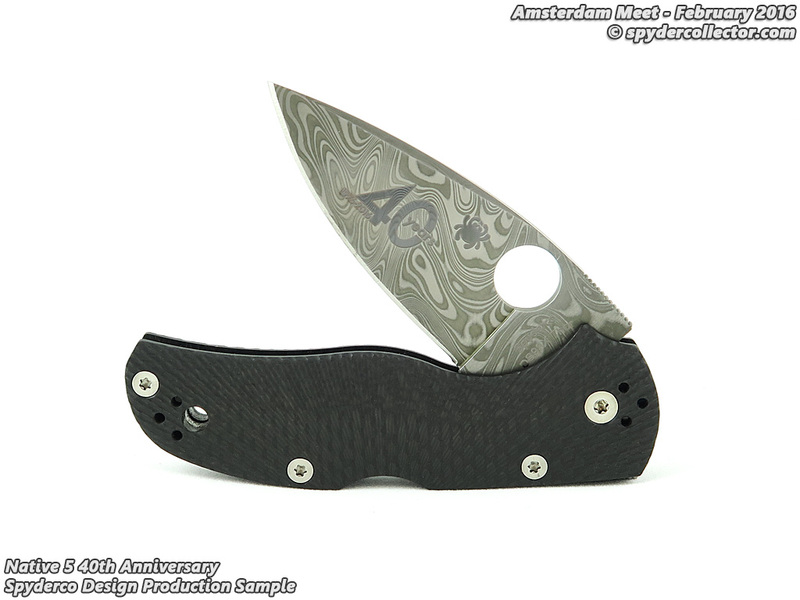 Although visually it makes the ti scales look thicker, to me at least, I pretty sure the overall thickness is the same as the G10 model. 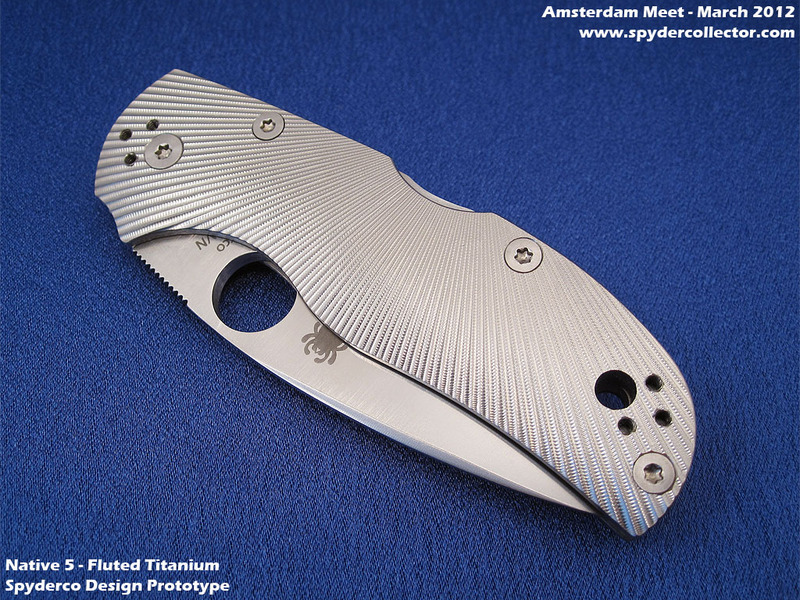 I really like this Native variant and hope it gets made soon. 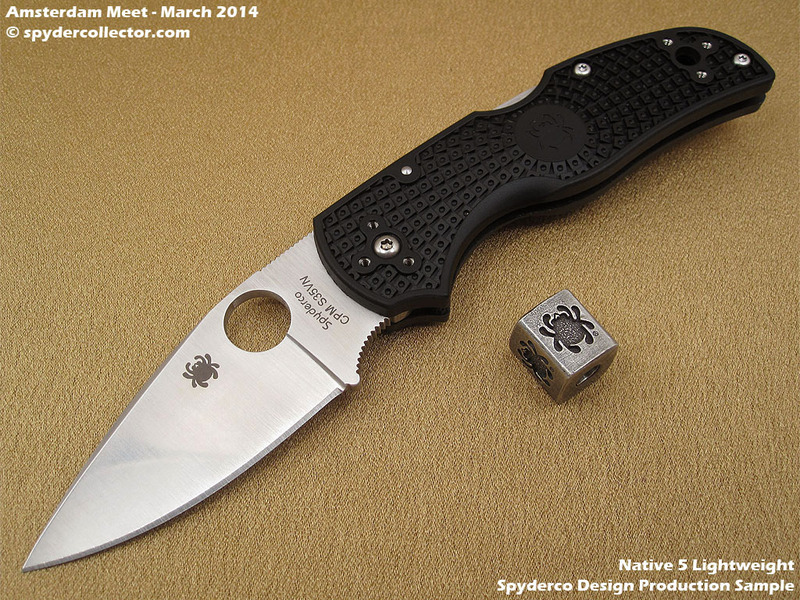 Eric Glesser goes over the design and construction of the upcoming Native 5. 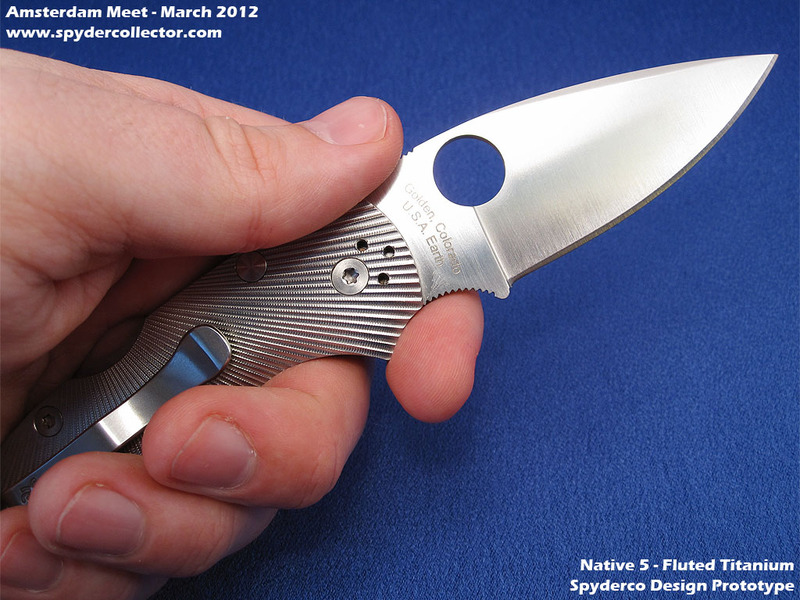 Eric explains not onle the main features of the knife but also points out some of the challenges in design and construction. 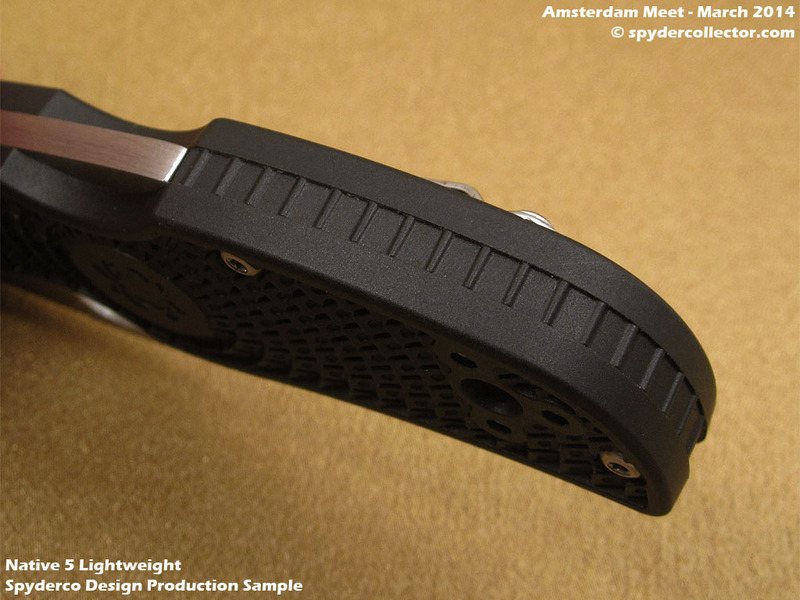 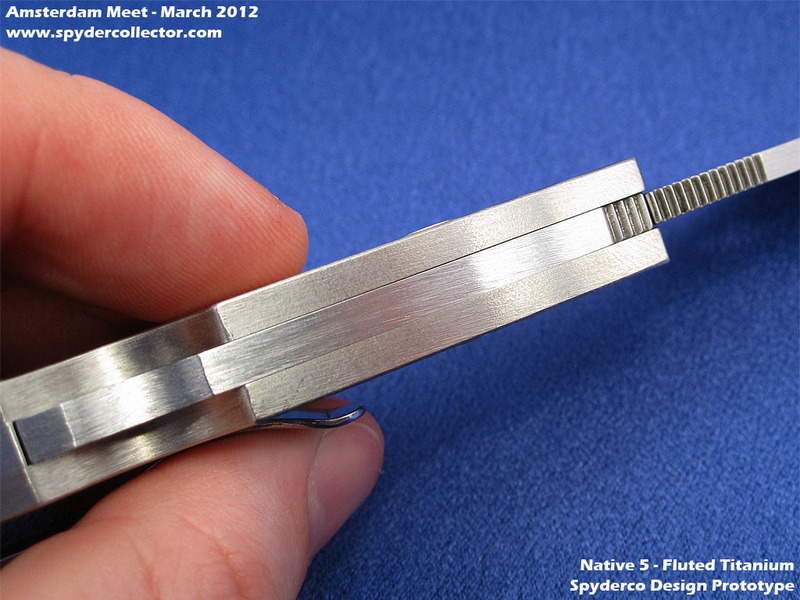 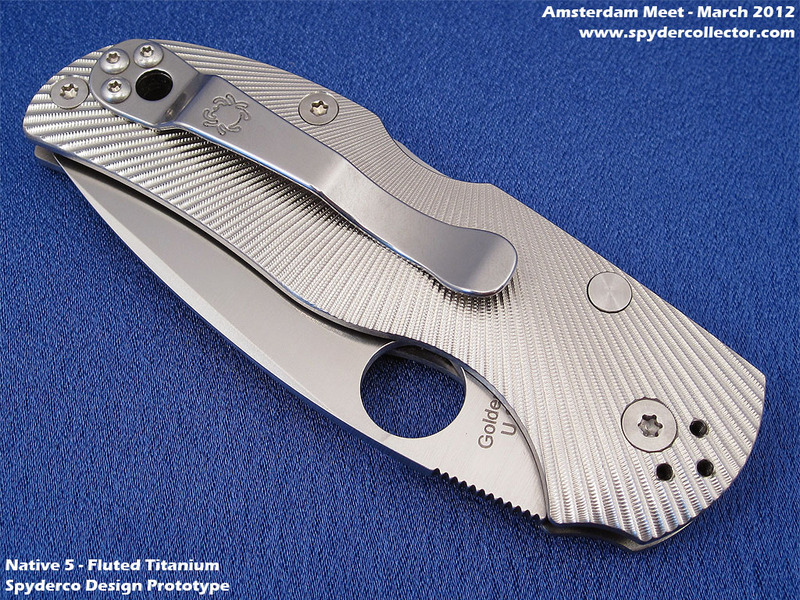 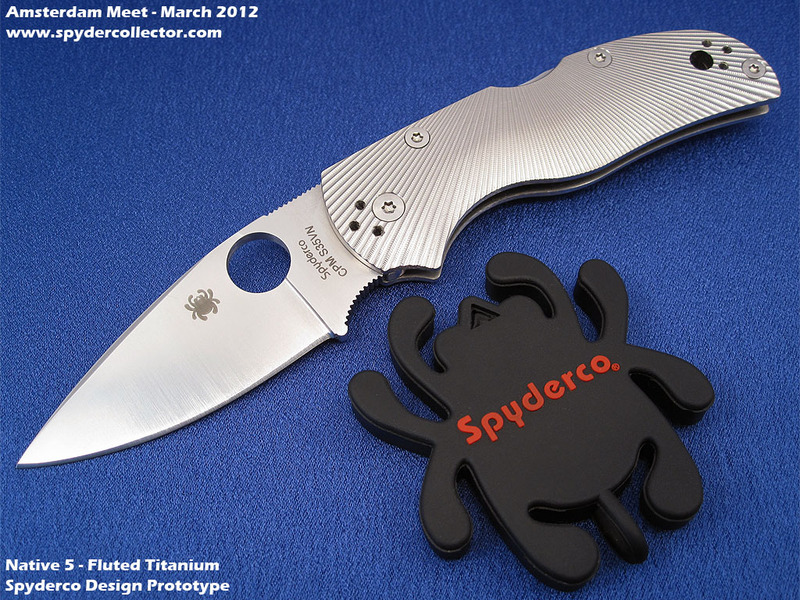 Both the G10 and Fluted Titanium Native Prototypes are shown.